Home Games This is a game for all generation! This is a game for all generation! Do you share our hunger for adrenaline? 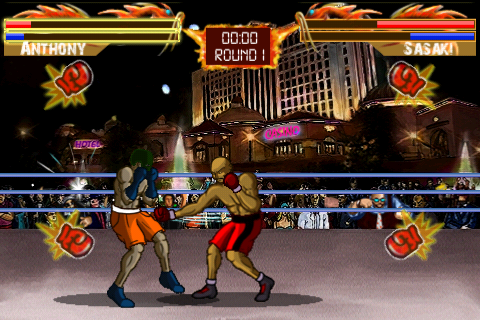 Then try new Boxing Fighter - a game for all generations. Boxing Fighter is the first iPhone / iPod Touch Boxing game done in the classic styles of Street Fighter™ and Mortal Combat™, with beautiful landscape mode fights and massive special attacks! This definitely brought me back to my childhood days of epic Street Fighter™ battles in the arcades.I may not be a boxer but playing this game gave me all the adrenaline of being put in the ring. You have the option to choose from career or vs(quick matches) mode. If you choose career mode you have the option to customize and build your character. The range of options for character customization are a real bonus and really sets the game apart from some of the other boxing apps. If you don't feel up to snuff you can also train and improve your skills before you battle it out in the ring. Prove yourself in the ring with the classic app! 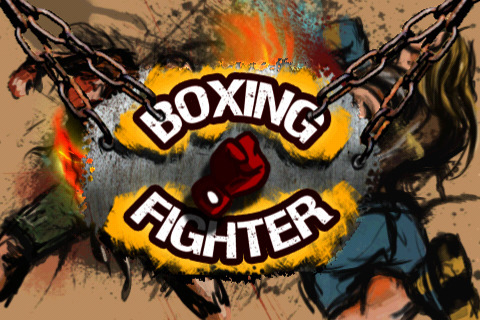 • Take your opponent to the ropes and win major title bouts to take home the belts! Requirements: Compatible with iPhone and iPod touch.